featuring Delphine, Vonetta and Fern, have won multiple awards among them, including a Newbery Honor, a Scott O’Dell Award, and multiple Coretta Scott King Author Awards. What I most admire about Rita’s work is her ability to cross genres. You never know that you’re getting from Rita next–a fun picture book, a gritty love story, a humorous historical novel–whatever it is, Rita can write it. Yet with each story, Rita embodies the text with a truth and realism that is lacking from many other novels. Rita writes about real people in the real word. When I see the Gaither girls, I see my sister. My cousins. My daughters. 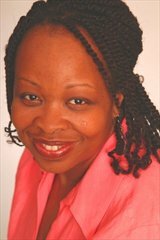 Rita creates characters–Black characters–that showcase who we are and who we can be. I had been a big fan of Rita’s for years (EVERY TIME A RAINBOW DIES is one of my favorite books), so I was thrilled when I learned I’d be working with her during my second semester at Vermont College. She was the queen of contemporary YA, and I couldn’t wait to dive into my latest YA manuscript with her, the novel that eventually became SAVING MADDIE (Delacote Press/Random House, 2010). Rita was happy to work on the novel with me—with her help I greatly fleshed out the secondary characters in the novel—but surprise, surprise: my YA manuscript wasn’t the only project I’d be working on that semester. Rita told me that it was time for me to grow. To stretch. To try something new. Rita told me that I was going to write a picture book. And I did. Word by word. Page by painful page. And another surprise–I liked it. Of course, she didn’t teach me how to write *just* a picture book. She helped me think about the economy of words, the importance of word choice, the balance between poetry and prose, and one hundred other things I won’t try to list here. One hundred other things that will enhance every future novel (and picture book) I write. That’s Rita for you—a genius in commoner’s clothing. What I failed to mention in the note was that I started one other project with Rita–a fun caper novel about a crew of teenage con artists. That book, The Great Greene Heist, would not have existing without Rita. 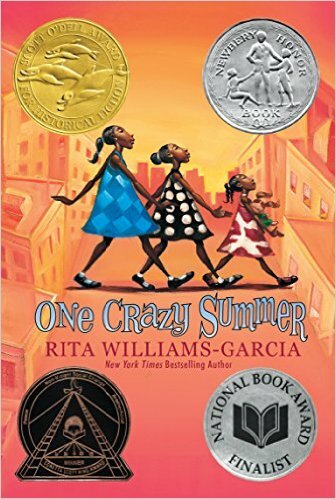 Rita Williams-Garcia is one of the greats. She is my inspiration. I am privileged and honored to call her my friend. I think BLUE TIGHTS was the first Rita book I read, and then I read backwards and forwards through her backlist, because I was so impressed. When I was privileged to meet her in person, my favorite thing about her was how she laughed – and how infectious it was for anyone in her vicinity. She truly is one of the greatest and more flexible writers in our field, and continues to teach the rest of us how to find our real voice.